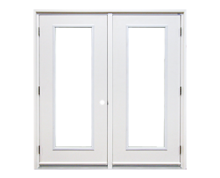 Let Huron Window Corporation’s Garden Doors open you up to the world outside without compromising energy efficiency or functionality. Enjoy ease of access to your deck of yard during the milder seasons, and don’t worry about the winter months: Huron’s Garden Doors are built with a solid seal to ensure your home remains warm, dry and cozy inside in even the coldest of winters. 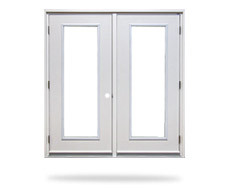 Doors are available for purchase in both our StoneGate line and our WoodGate line. See how our customers have incorporated Huron’s Windows and Doors into their homes and businesses. 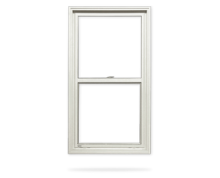 Huron Window Corporation’s NAFS certified doors have been giving customers peace of mind for more than 35 years. Above and beyond our industry-leading craftsmanship, quality and service, our door selection offers an abundance of style and colour options so you can welcome guests to your home with your own signature touch. 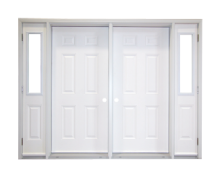 Huron doors undergo the same rigorous testing and quality control as all of our products so you can rest assured your door is made exactly to your specifications, and will be strong, secure and maintenance free for years to come. Brickmould is the outside casing around your door, and is used to fasten the door frame to the wall. 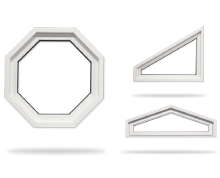 Selecting the right Brickmould is key for ensuring your door is well integrated into your home. With an integrated J Channel on the side to accommodate your home’s exterior siding, the 1¼” J Brickmould is ideal for new home construction. Along with an integrated J Channel to accommodate your home’s exterior siding, the 2½” J Brickmould offers the additional benefit of a wider surround to further enhance the beauty of any home, while saving you money on purchasing additional brickmould materials. Set your imagination free and see our product in action! Explore a range of colour options that will allow your Huron products to stand out and showcase your signature style. With 24 different colours to choose from in our selection of Spectrum® paints, you’ll be sure to find a hue to suit any style or trend. All Spectrum® paints go through an extensive testing process in our in-house facility to ensure they are durable, hardy and weather-proof so you can have peace of mind knowing your finish won’t chip or flake – ultimately saving you worry and hassle, and keeping more money in your pocket. Let the focal point of your home truly reflect your unique taste and style. 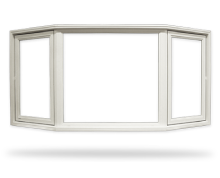 Choose a panel from our selection to help make your entryway stylish and inviting. Custom door panels available upon request; Please contact us for more information. Welcome guests into your home with style! 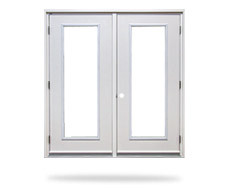 Customize your entryway with Huron’s wide selection of door & sidelite inserts. 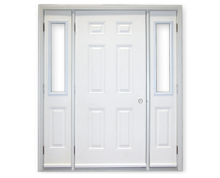 Make your palace entrance a “Grand Entrance” by dressing it up with one of our many Door and SideLite options. 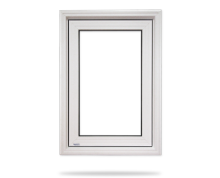 The U-Channel is a uPVC member which allows various jamb extension materials to be adapted to the door jamb, giving you an integrated and seamless interior finish. 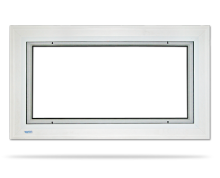 The U-Channel accommodates any material you may have, including drywall or wood-veneered plywood, and gives you the flexibility to build into walls of any depth. Huron Window Corporation’s U-Channel is designed to accommodate materials from ½” to ¾” in thickness, enabling you to finish your entryway interior jamb however you prefer. This quality material also gives you the added advantage of working with custom wall depths. 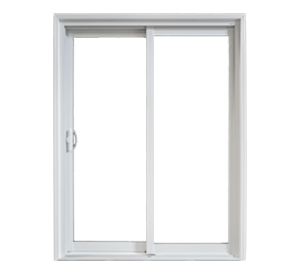 The Jamb Extension is a uPVC member that extends from the interior of your door frame to the interior wall finish. Build to any depth using the U-Channel, and the PVC casing snaps easily into the Jamb Extension, giving you a seamless maintenance-free finish. 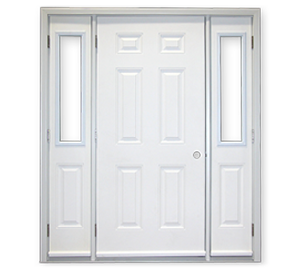 The PVC Interior Casing is a decorative trim that covers the inside edge of the jambs and the rough opening between the door and the wall. 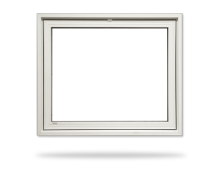 Our selection of 2” and 3” widths provide you with options, whether you’re renovating a room or building a new home entirely. 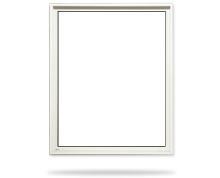 Available in widths of both 2” and 3”, Huron Window Corporation’s uPVC Interior Casing creates an aesthetically pleasing finish to your entryway. 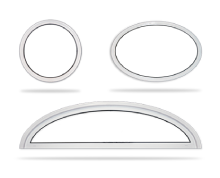 Huron precuts and prefits all casings, and our “measure twice, cut once” philosophy and standards of quality save you from having to do any fitting – just snap your new casing on hassle-free, and enjoy the new look. 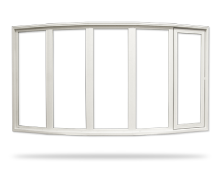 Dress up your PVC interior trim with one of our authentic wood grain finishes from our Sylvan offerings. The varied woodgrain options (Boston Cherry, Hillside Oak, Russian Maple and American Natural) are perfect for introducing an element of classic elegance and warmth into your home.